In promoting your pharmaceutical product as medical representative, you can't skip the process of making presentation. 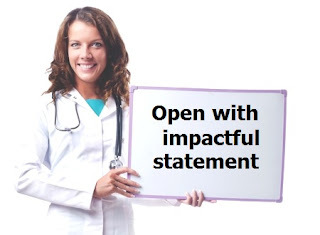 In this post, you're going to explore useful tips for giving a presentation during your visits to the doctors or healthcare providers (HCPs) through some examples. Through the examples below, you're going to look at some tips to promote your product as medical representative by means of presentation. Use them as your success guide. Find tip that come close to 100% working for your pharma selling situation. No two reps situations are the same. You need to do some exploring as you go along. You have gathered necessary information during your pharmaceutical call planning before your visit to HCPs. You have decided, based on what you have, propositions that are valuable and beneficial to them that can be delivered through your product. You can use this to gain their interest. Medical Rep: I understand you're taking on a lot of new, elderly patients these days? Doctor: Yes. That new retirement community has brought in quite a few new people. Medical Rep: Ms. Receptionist was telling me that many of the new elderly patients you're seeing are mild to moderate hypertensives. Doctor: Yes, that's the case with many of the new patients I've seen so far. Medical Rep: When treating elderly hypertensive patients, it's important to gain effective blood pressure control with a low risk of side effects, and without affecting other medical conditions that so commonly co-exist in this group (medical treatment problem). Medical Rep: An effective anti-hypertensive agent with a very low incidence of side effects, and one with no contraindications would provide you with maximum flexibility and success in treating your elderly patients (product benefit). Medical Rep: Dr, Product X fits this profile exactly! You can also use this same example during your medical representative detailing. 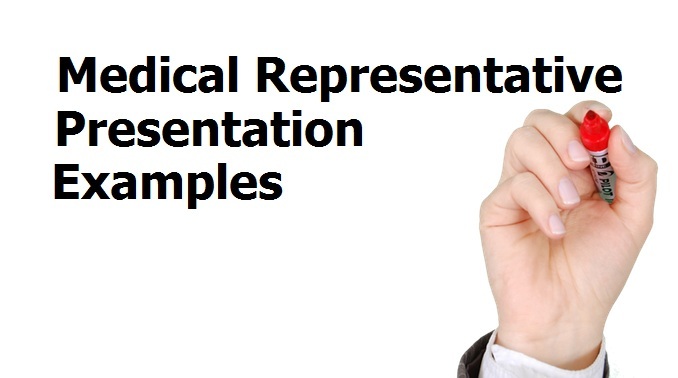 Another useful medical representative presentation tip for you is you want to focus on one, specific image of a patient when introducing a need for your doctor during your pharma sales call. In the example of Product X, the image was 'elderly hypertensive patient'. 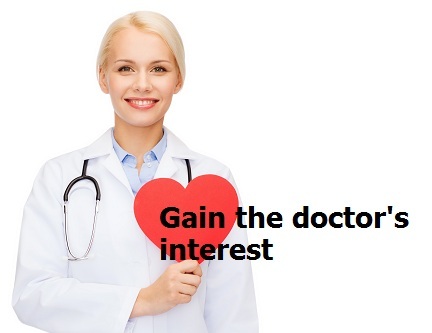 You'll be more effective when you can focus on those ideal patient compared to if you try to recommend it for 'every hypertensive patients' the doctor sees. Using the examples above, you now might have an idea or two on how to promote your product as medical representative through your presentation. Use them as your success guide and keep exploring on how to make them more effective so that they'll work for you 100% of the time.